When you think of Morocco, what comes to mind? But, Morocco is incredibly diverse and that includes over 1,200 miles of coastline. Not all of which is sandy beaches but there are some seriously beautiful hidden gems. 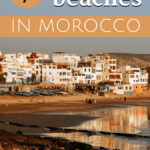 If you’re planning to visit and want to include the beach in your itinerary you will want to keep in mind that the weather in Morocco is not tropical. What that means is that if you visit in December, don’t expect to sunbathe and swim in temperate waters. You will want to check out the weather for the area you are going before deciding. 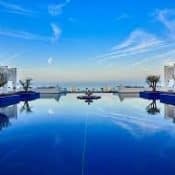 Why Consider a Moroccan Beach Holiday? Not every beach in Morocco is good to visit year-round but no matter what month you’re arriving there’s a beach somewhere with your name on it! Head to the southern cities like Dakhla during winter months where temperatures stay roughly the same year-round. For other areas it will depend on what activities you want to do. For sunbathing however May– September is the best time to visit. With so many miles of beaches you have a LOT of choice. Whether you’re planning a visit to the north, south or central of Morocco the ocean or Mediterranean is a short drive away. 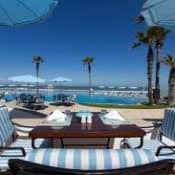 This makes it easy to mix in a beach visit to your Morocco itinerary no matter where you ultimately decide to go. Not all the beaches in Morocco are the same. On the Mediterranean you’ll find sandy beaches with the azure water that is characteristic of this sea. The Atlantic coast has great beaches too however the water is not quite as calm. This makes it ideal for people who want to engage in water sports like kitesurfing or surfing. Whatever beach experience you want, you’ll likely find it in Morocco. This might seem like a strange reason to visit the beach. There is limited industry that happens on the waters of Morocco. There is some around large cities like Casablanca but in many areas there is none. This means the water is a lot cleaner. There are also some areas that are environmentally protected like the the Dakhla lagoon. The summer is the height of tourism season in beach communities. It’s also the nicest time to be at the beach. 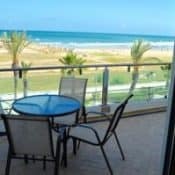 You’ll find crowds at popular beaches as well as limited availability for hotels and apartments. This doesn’t mean you shouldn’t visit but book early and be prepared to pay more. From November through March the beaches in much of the country are too cold to sunbathe or swim. People that surf or windsurf do so all year long. Many beach communities have wetsuits and options (like boating trips) available for the winter months. There are some urban beaches like in Essaouira but many of the beaches of Morocco are located outside cities. To reach these places you will need your own vehicle, a taxi or a driver to get you there. This is especially true for more remote, hidden beaches. 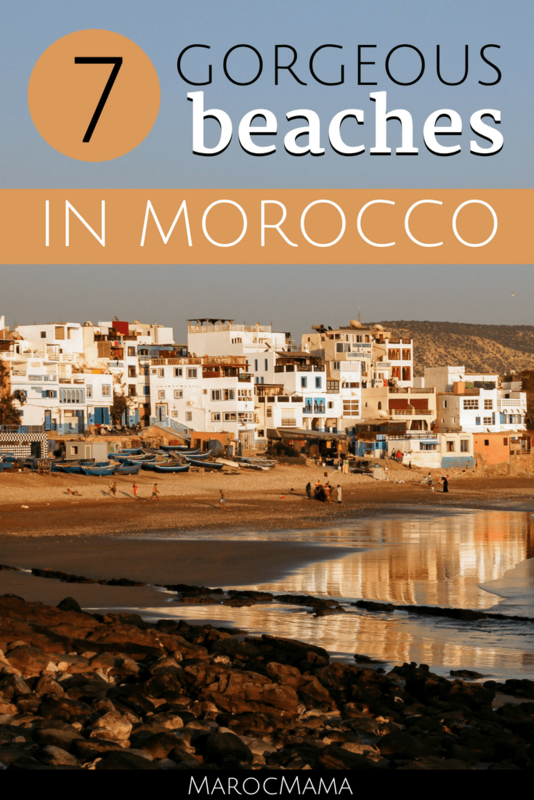 Morocco is known for its windy beaches, especially in the central to south of the country. 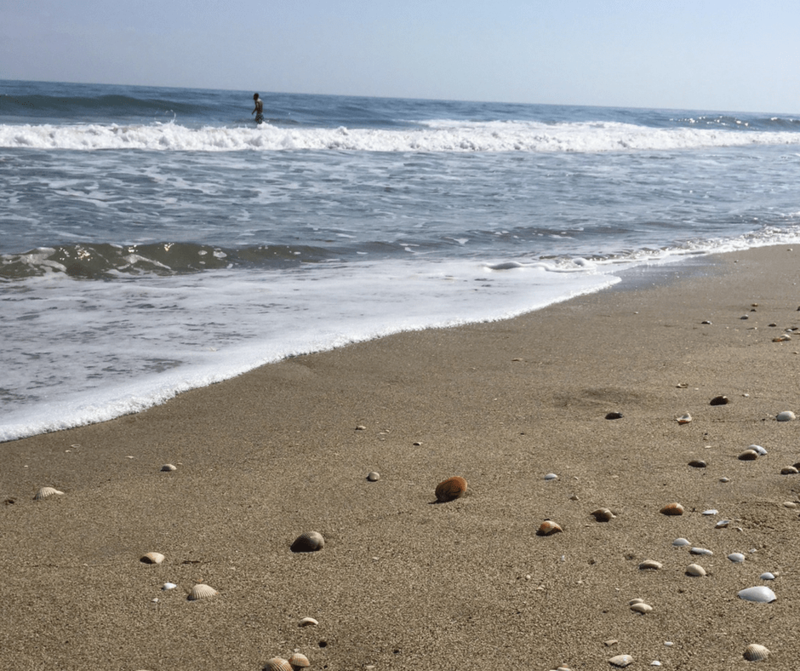 This is great for some people but if you’re planning a visit with kids who want to play in the sand, dealing with constant blowing sand may be less than ideal. People, especially women, commonly ask what is appropriate or ok to wear to the beach in Morocco. In this post you’ll find some suggestions to be comfortable and respect local traditions. Summer is the most popular time of year to visit the beach. 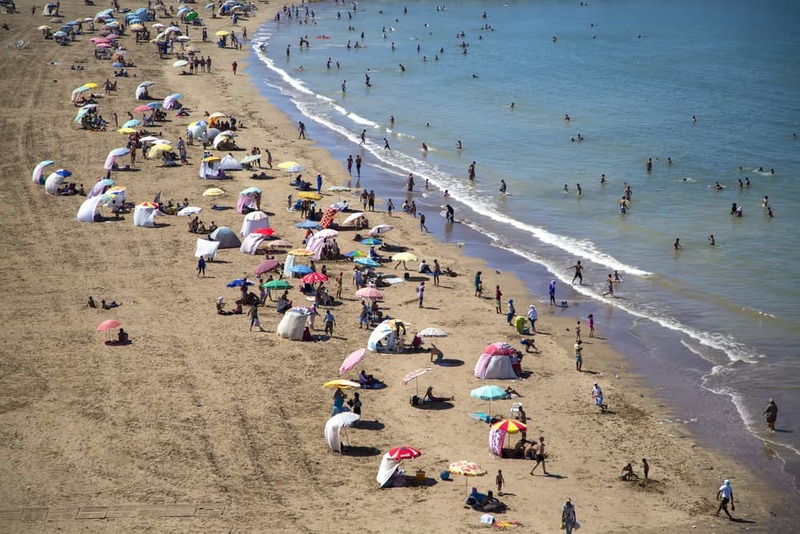 If you’re heading to Morocco and will be spending time OFF the beach, these suggestions will help you pack to stay cool and respectful. 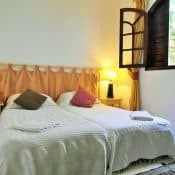 suggestions for hotels, hostels, riads or resorts that are nearby. 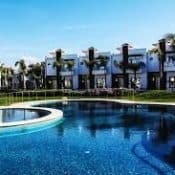 There are a lot of apartments available in this general area for rental and it’s a really good option if you have a larger family or are traveling with friends. 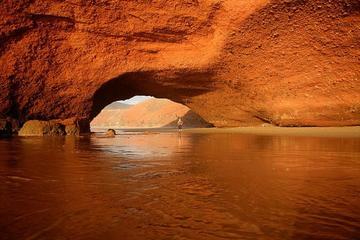 Tamuda Bay is located in the north of Morocco on the Mediterranean Sea. 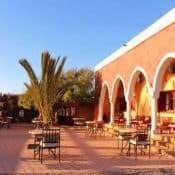 It is located on a strip of land between Fnideq and M’diq and is very popular with Moroccan vacation goers in summer months. In recent years there has been a lot of development in this stretch of coast, creating many more places to stay for beachgoers. Within this stretch there are several beaches that are good for pulling up a chair and relaxing. People love the clear water and the temperate climate during summer months as well as the soft sandy beach. Scuba diving and water sports are available. While lovely during summer, this is not a great beach for colder months. Where is Tamuda Bay Located? This is a large area covering multiple different beaches and cities. 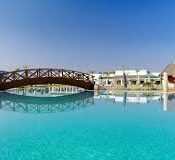 You can have your pick between water activities or heading inland to the cities of Tetouan or Tangier if you get too “beached” out. 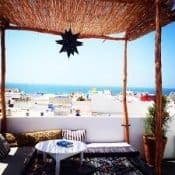 Tangier and Tetouan Day Trip Starting from Tangier explore these two northern Moroccan cities; one with an international flair and one that is distinctly Spanish inspired. A good way to spend an entire day and get to see two cities. If quiet, sleepy, hidden beaches are what you seek than Mirleft should be on your list. 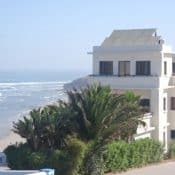 Some of the beaches near this small village include; Legzira, Sidi El Ouafi, Tamahroucht, Sidi Mohamed Ben Abdallah (most well known), and Imin Turga and a little further south the surfing village of Sidi Ifni. Several of these beaches have fantastic surfing. Even though it has a small town feel it’s also quite international with foreign visitors and residents from across the world settling in here. 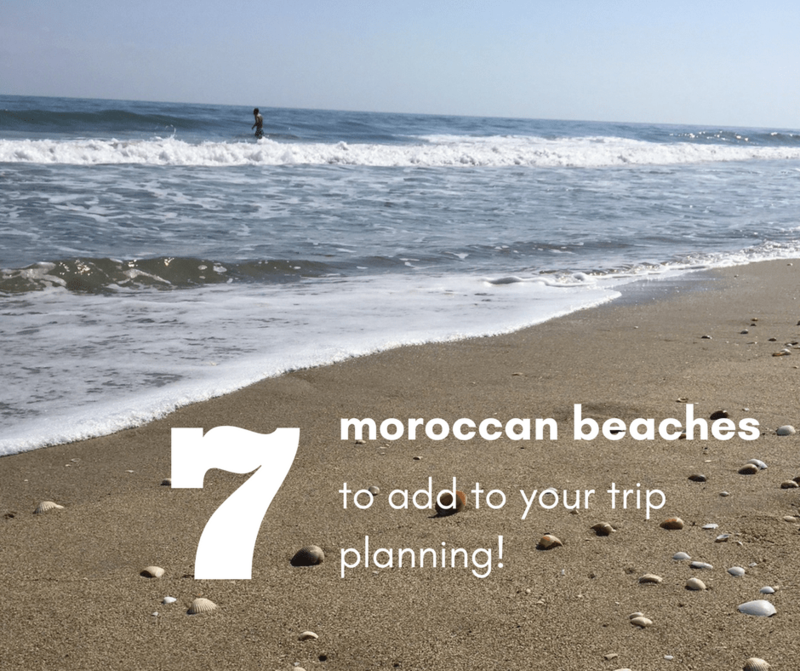 During warmer months, the waves die down a bit making for great swimming conditions without the crowds you find on other Moroccan beaches. The contrast of long stretches of sandy beach with rocky cliffs make for a dramatic and beautiful atmosphere. Where are the Beaches of Mirleft Located? 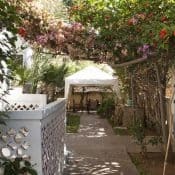 Mirleft is the perfect place to visit if you just want to relax but there are also some things that you can do to keep busy. The Spanish Fort – this old fort (constructed in 1935) overlooks the city and is a popular tourist attraction. Take a day trip to nearby Tiznit – this city is well-known for their silver work. 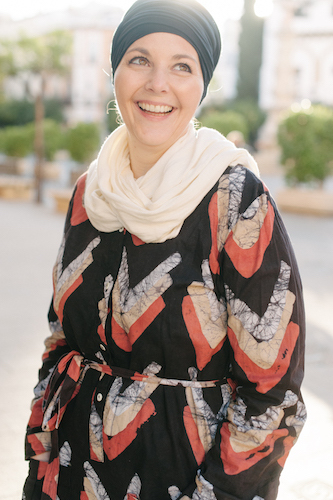 Learn how to cook Moroccan food; you’ll find cooking classes on offer. Pack a picnic and spend the day at the beach. Take a long walk along one of the many different beaches – or make it a challenge to visit them all! 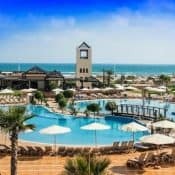 Agadir Legzira Beach Full-Day Tour with Lunch – $55.84 In between Mirleft and Sidi Ifni, can be found Morocco‘s most unique beach, windy, rocky and with it’s majestic red stone arche carved by water and wind, really amazing place to visit. A good choice for anyone that is a novice or intermediate surfer and wants to get some additional coaching when they are in Mirleft. 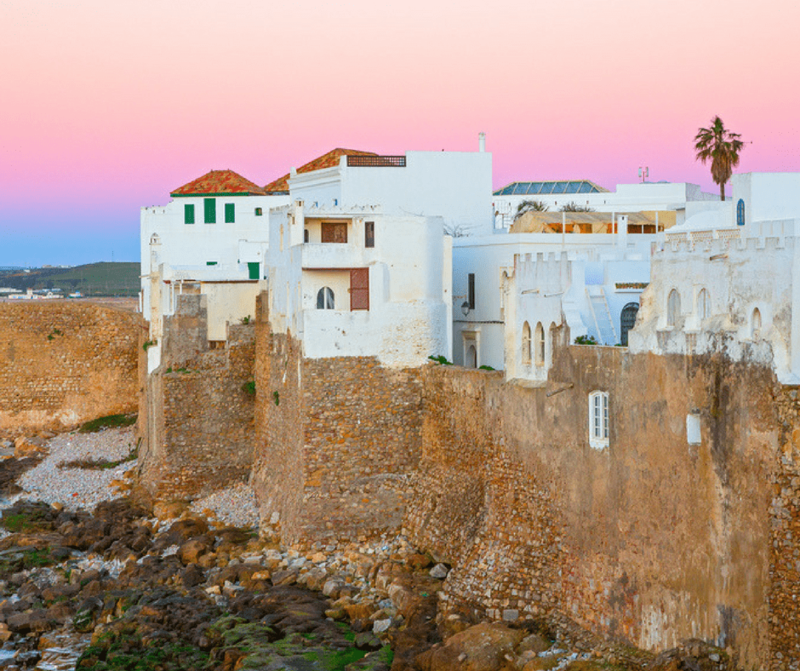 Head to the opposite coast of Tangier to the Atlantic and visit the beaches of Asilah. There are a mixture of beaches in the city as well as within close proximity. While the city beaches have the benefit of very easy access they are often crowded and not as clean as the more remote beaches. 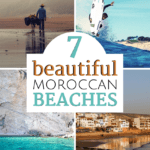 Instead head to beaches like Sidi M’ghait, Paradise Beach, or Briech Beach for better conditions. You’ll need a car or to hire a taxi to reach these beaches but if you plan to spend the day it’s worth arranging. 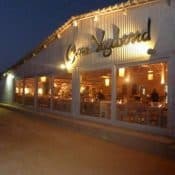 During the summer season most of these beaches have a combination of restaurants or pop-up shops selling food and snacks but if visiting during other periods you likely won’t find many amenities. Where are Asilah's Beaches Located? Between Rabat and Casablanca, near the summer palace of the King of Morocco, is Skhirat. This village has a popular beach that has many higher end resorts. It’s a popular destination for people from nearby cities looking for a day at the beach. It’s also become a very popular spot for surfers. The nearby Mohammed VI Convention Center makes Skhirat a popular destination for business travelers as well. Where is Skhirat Beach Located? 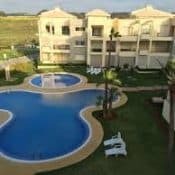 The central location of this beach, between Rabat and Casablanca gives plenty of options for things to do. There are several different surf schools nearby if you are interested in learning or participating. Many hotels also have spas available to take in a Moroccan hammam or massage. On the beach you’ll likely find men with horses and/or camels offering rides. Just make sure to agree to the price before embarking on a ride. Saidia is just making it’s name on the beach scene. For a long time it’s been hidden due to its distant location. The city is very close to the Algerian border. It has one of the longest beaches in Morocco and you just might think you’ve stumbled into the Caribbean when you visit thanks to the turquoise water. A natural bird preserve surrounds the area as well as a eucalyptus forest. As far as cities go, Saidia is relatively new only really existing since 1883 when its main purpose was to control who was coming and going from Algeria. It was during the French protectorate that it became a popular resort area. Of course the most popular thing to do is swim and sunbathe but that doesn’t mean there’s nothing else! The port of Saidia has boat rentals available to sail yourself or rent a boat with a captain for a few hours. Jet skis, flyboards, and other water activites are also available for rent on the water and from shops in town. If golf is your thing there is a golf course to play a round or two. Perhaps one of the easiest beach destinations to reach in Morocco is the beaches in and around Essaouira. 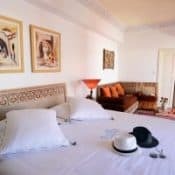 Just over a two hour’s easy drive from Marrakech this city has gained more and more popularity thanks to its laid back locals and art scene. This city also has a long, urban beach that is well maintained during peak seasons and is ideal for families with children due to low waters and minimal waves. While Essaouira often is windy, the wind here much milder than other locations. 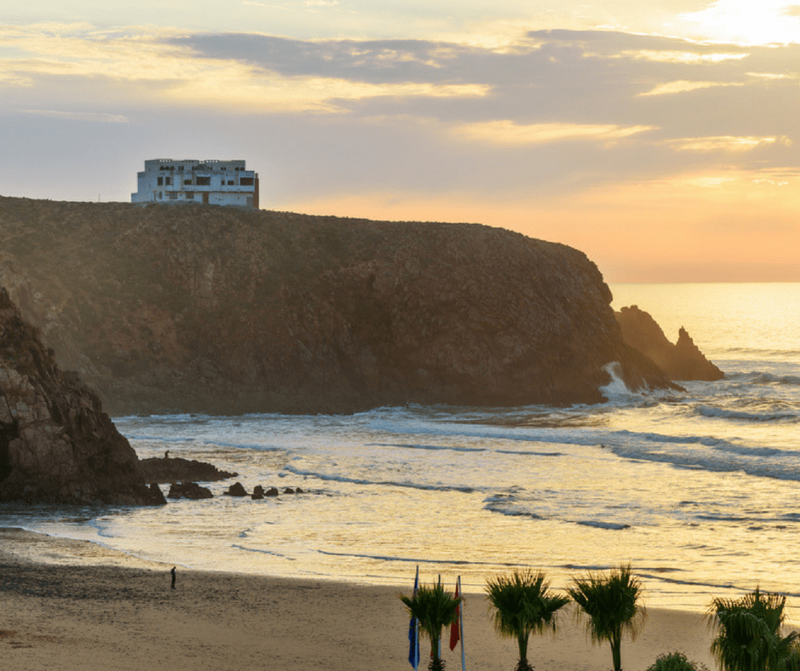 Some popular beaches include; Tagharte (the in-town beach), Sidi Kaouki (located about 20 km south), Diabat, and Imssouane. 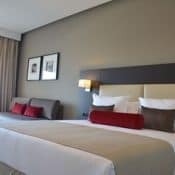 While some of these are located close to the city, others are nearby and will require private transportation to reach. 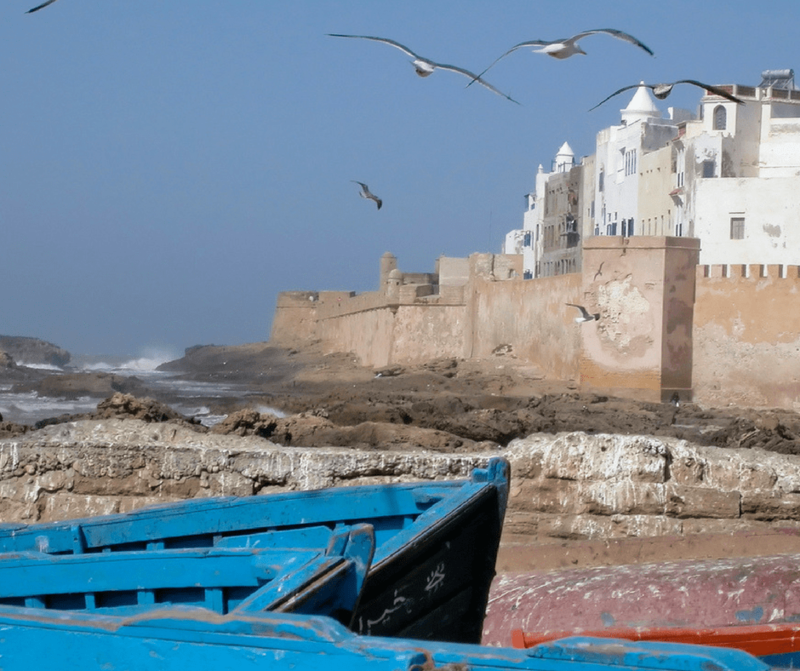 Where are the Beaches of Essaouira Located? 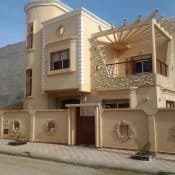 Due to the great central location and growing tourism in the city there is a LOT to do in Essaouira and surrounding areas. In the city itself there are numerous things that you can do. I highly recommend you visit my guide to the city for a full list of ideas. Dakhla is located in the furthest south of Morocco in an area referred to as the Western Sahara. It is on a peninsula and has dozens of beaches. This area truly is a beach lovers paradise! Most of the resorts in the area have their own private beaches or access to beaches. 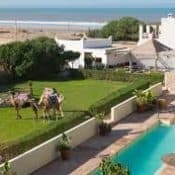 Dakhla is a on a lagoon as well as having access to the Atlantic so you are able to have either more sedate, calm waters in the lagoon or ocean waves. 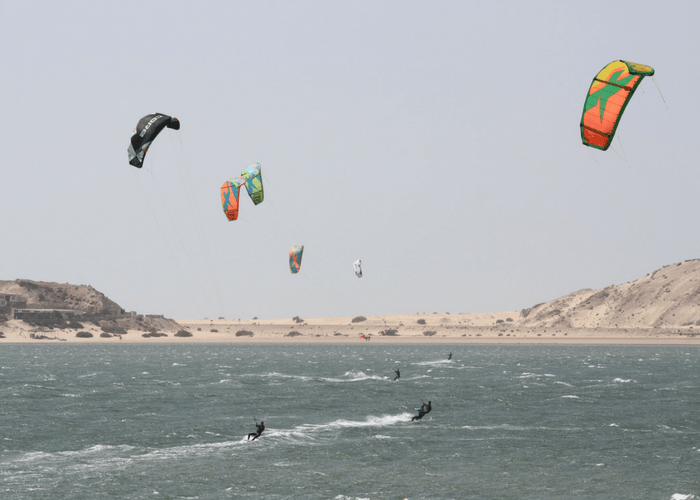 Dakhla can be very windy, which is great for kite surfing, the most popular activity in the area. However, it is isn’t always great for those who want to lay on the beach and get some sun. 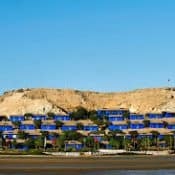 Where are the Beaches of Dakhla Located? 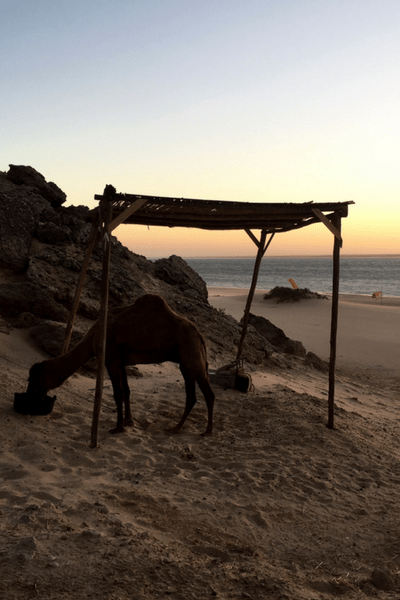 If you’re looking for the range of activities to do in Dakhla make sure to read my destination guide to Dakhla that is full of ideas on what to do while you’re here! Agadir Beach is lovely as well.